Cantor’s Driving School offers driving lessons and driver training in the Main Line and all areas of the Philadephia suburbs. Over 50,000 drivers have learned to drive with Cantor’s Driving School, many of them from the Main Line in the suburban Philadelphia. Are you our next safe driver on the Main Line? Cantor’s, The Driving School That Gets Results® in Bala Cynwyd, Bryn Mawr, Wayne, Wynnewood, Malvern, Berwyn, Penn Valley, Gladwyne, Narberth, Ardmore, Villanova, Radnor, Rosemont and all along the Main Line. 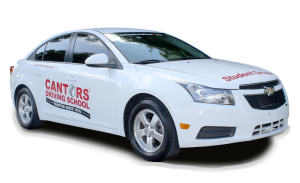 When taking driving lessons on the Main Line, Cantor’s Driving School provides driver training on local roads such as Lancaster Ave, Montgomery Ave, Conshohocken State Rd, and King of Prussia Rd. For highway driving lessons, the Schuylkill Expressway (I-76) is the most popular main highway. Driving lessons can be conducted on roads in the Main Line neighborhoods of Bala Cynwyd, Belmont Hills, Gladwyne, Merion, Narberth, Penn Valley, Wynnewood, Paoli, Berwyn, Devon, Malvern, Frazer, Wayne and more. Teen drivers can be picked up at Lower Merion High School, Harriton High School, Radnor High School, Conestoga High School, Great Valley High School, or any of the private schools in the area. The closest PA Driver’s Test Center to the Main Line is in Norristown, PA.
Let Cantor’s Pros Teach You! Cantor’s Driving School offers driving lessons on the Main Line and all areas in and around Philadelphia’s western suburbs, including zip codes 19004, 19010, 19087, 19096, 19312 and 19355. Use the Cantor’s Driving School contact form or call us at 610-277-1050 for further assistance with driving lessons in the Philadelphia suburbs.